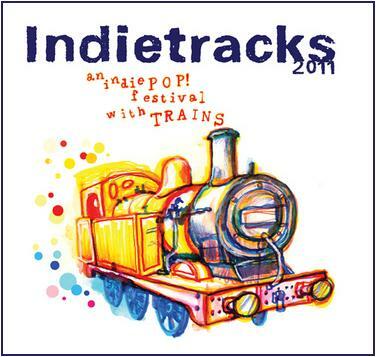 Indietracks - an indiepop festival: Indietracks 2011 compilation - released 13 June! Next Monday, Make Do And Mend Records will be releasing a download album featuring 40 fantastic tracks from artists playing at this year's Indietracks festival. You'll be able to set your own price for the compilation, 100% of which will go directly to the Midland Railway charity. The compilation includes several previously-unreleased songs, as well as tracks from four of this year’s headliners; The Hidden Cameras, Jeffrey Lewis, Crystal Stilts and Herman Dune. There's also some amazing songs from upcoming indiepop sensations such as Help Stamp Out Loneliness, Withered Hand and Papa Topo.